A race night with us is no ordinary race night! With the operators in character, professional tote booth, PA System, betting tokens and race cards; the scene is set for a great day at the races. The race is on to beat Conman Charlie at the tote, under the guidance of Tommy the Tipster. This is great for private or corporate events, the dynamic of team building is reinforced many times as you play for prizes and fun money. 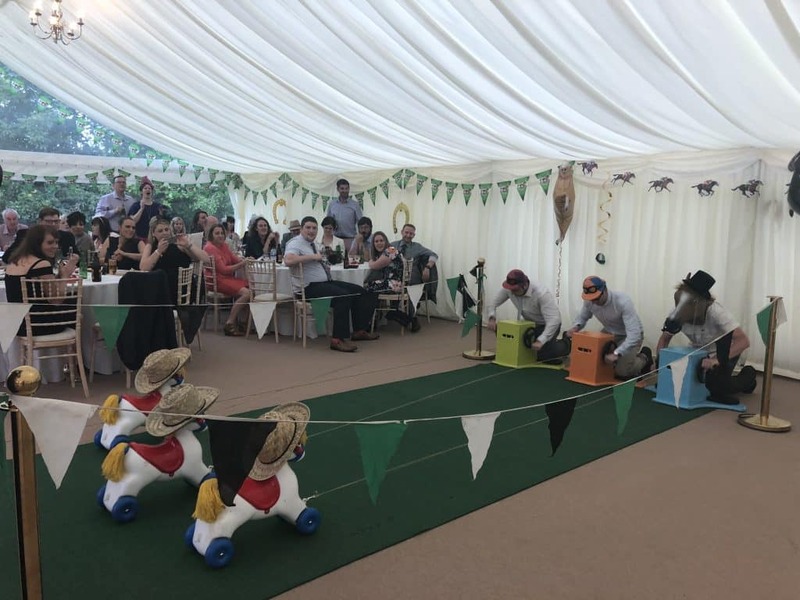 Race Nights are also excellent for birthdays and parties, charity events; allowing you to raise money in the process and we’ve even done weddings! Our race nights can be done at any venue with a big enough room, from houses to hotels, offices to outbuildings, anything is possible! We have a range of packages to suit your needs and can customise your event with personalised fun money. Our wind up horses are a brilliant addition to our standard Race Night. These horses work on a very simple basis, whoever reels their horse in the quickest wins! As part of the entertainment, guests can then bet on their friends/colleagues as to who will win, this adds a extremely funny and competitive element to the night. With up to 5 wind up horses available the competition can really be on. 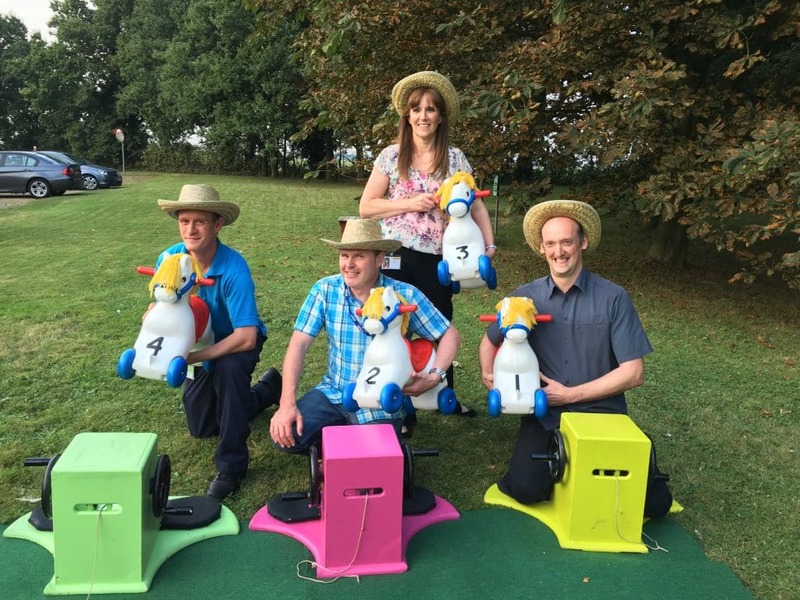 Our wind up horses are suitable for indoor or outdoor use and are great for all ages, they accompany our big screen Race Nights perfectly, however can also be provided as an individual activity.